The legendary P-51 Mustang is the star of Roseanna’s Reply. It was arguably the best fighter of WWII. Although this could easily be vintage wartime Kodachrome, this group of “D” model Mustangs was actually caught by famed aviation photographer Michael O’Leary in April 1999. 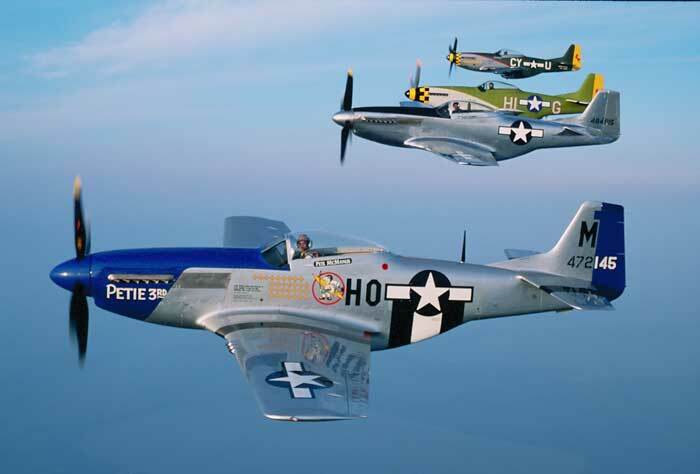 With about 150 still airworthy worldwide, and dozens more being restored…and in some cases actually being built virtually from ground up with newly manufactured parts…the Mustang is by far and away the most numerous surviving true WWII fighter. The “D” models pictured here are most easily identified by their bubble canopies.